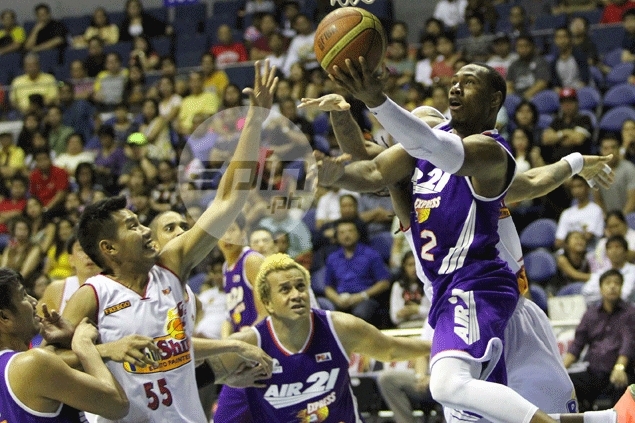 GLOBALPORT has finally secured the services of Dominique Sutton as its import for the PBA Governors’ Cup. After securing his release from Tropang TNT, the Batang Pier signed the former Air21 import, who stands 6’4” ½, to team up with returning Asian reinforcement Omar Krayem in leading the team in the season-ending conference. Sutton averaged 25 points, 15.1 boards, 3.1 assists, and 2.4 steals in 42.1 minutes per game for the Express in the 2014 Governors’ Cup, before the Texters secured his rights last year, although he didn’t get to play as TNT failed to advance to the playoffs. Sutton, who last played in the Italian league, is expected to arrive in the last week of the month, according to alternate governor Erick Arejola.